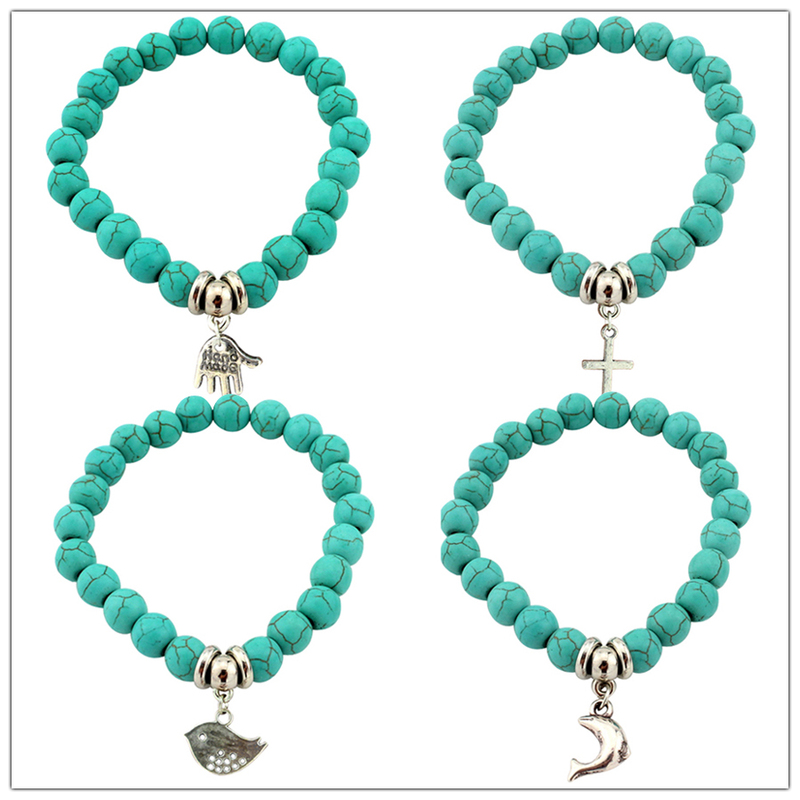 Add a stylish finishing touch to any outfit with these trendy women’s bracelets. 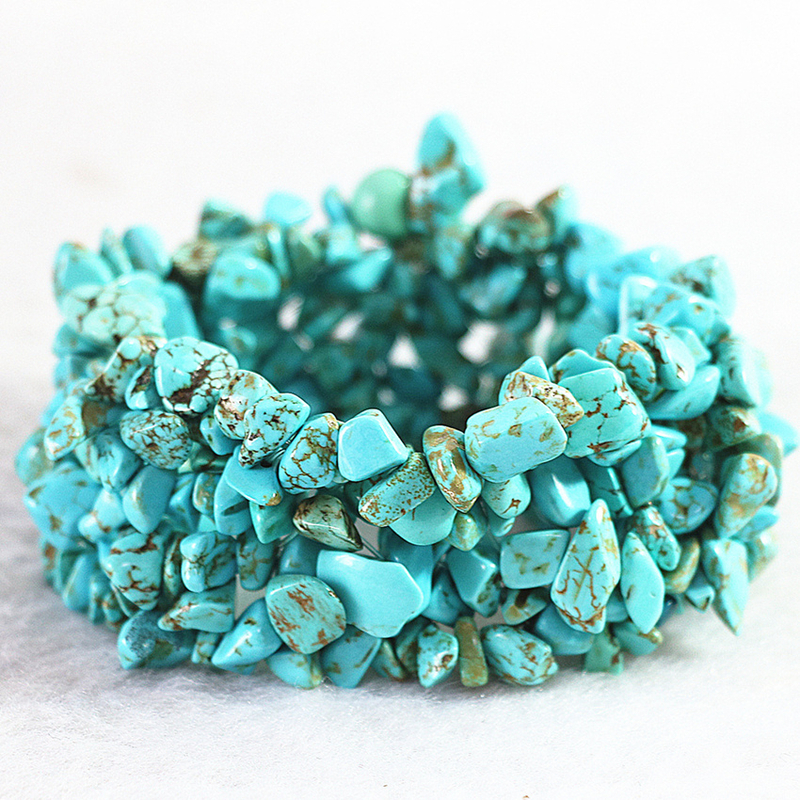 This tasteful women’s Bohemian Turquoise Bracelet is versatile enough to complement a wide range of outfits. 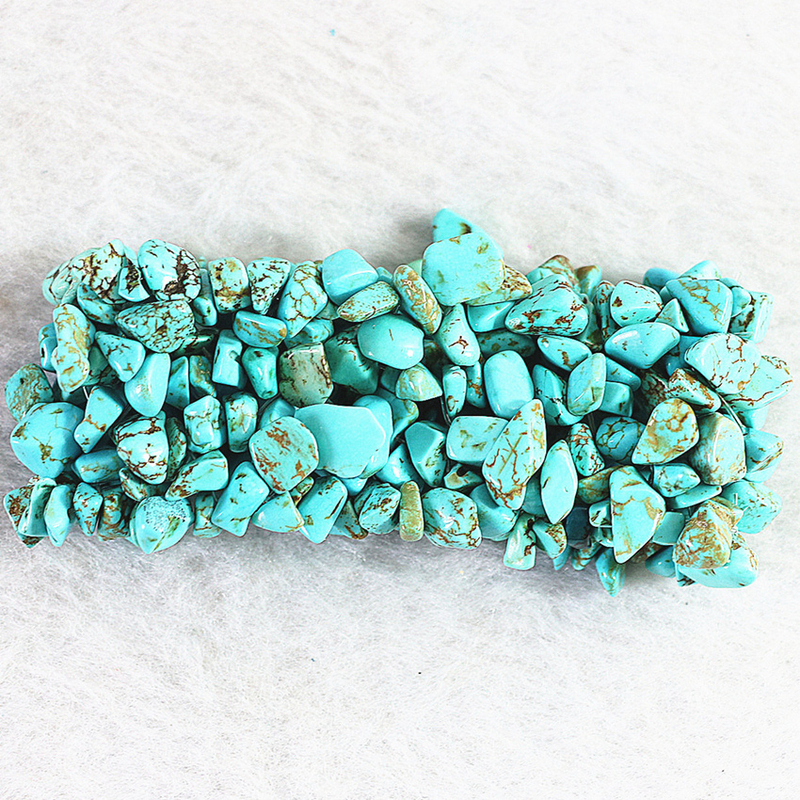 Break away from the generic look of mass produced jewelry with this intricate handmade piece. 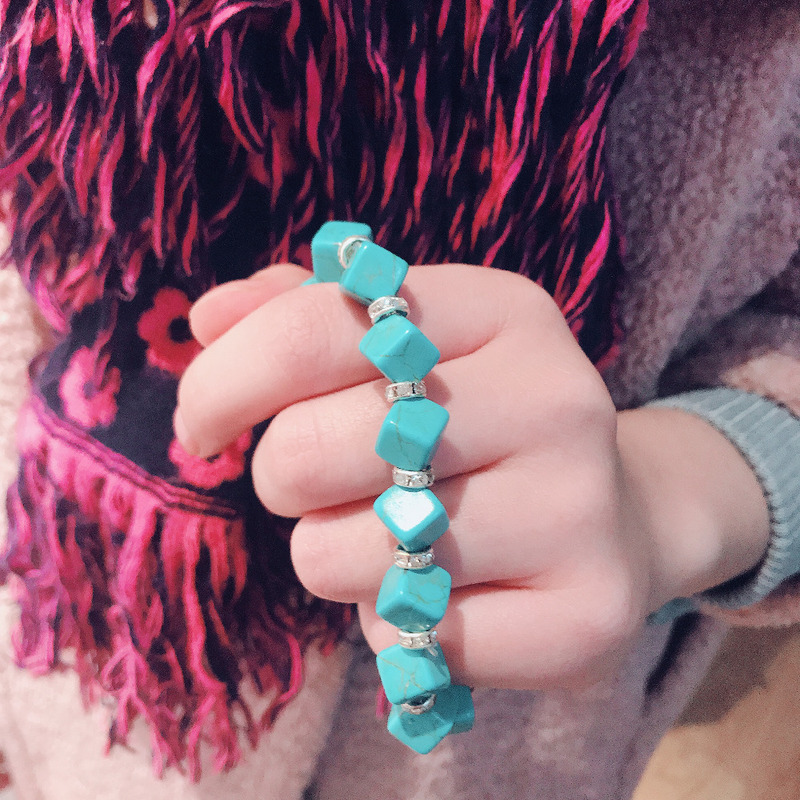 Make it a happier birthday with this unique addition to jewelry collection. 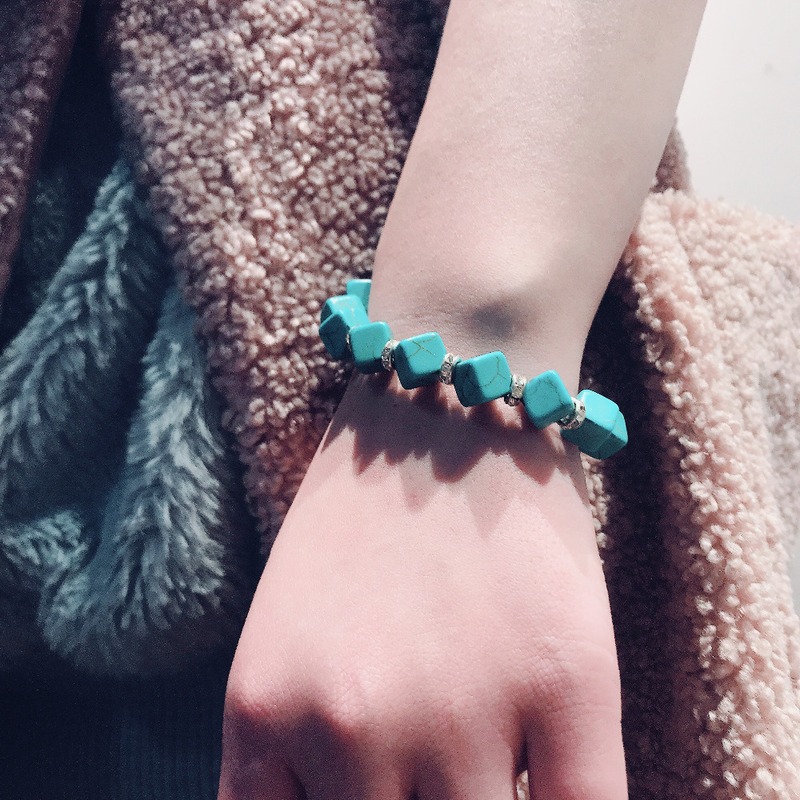 The bold beads make a statement that can draw attention to any outfit. 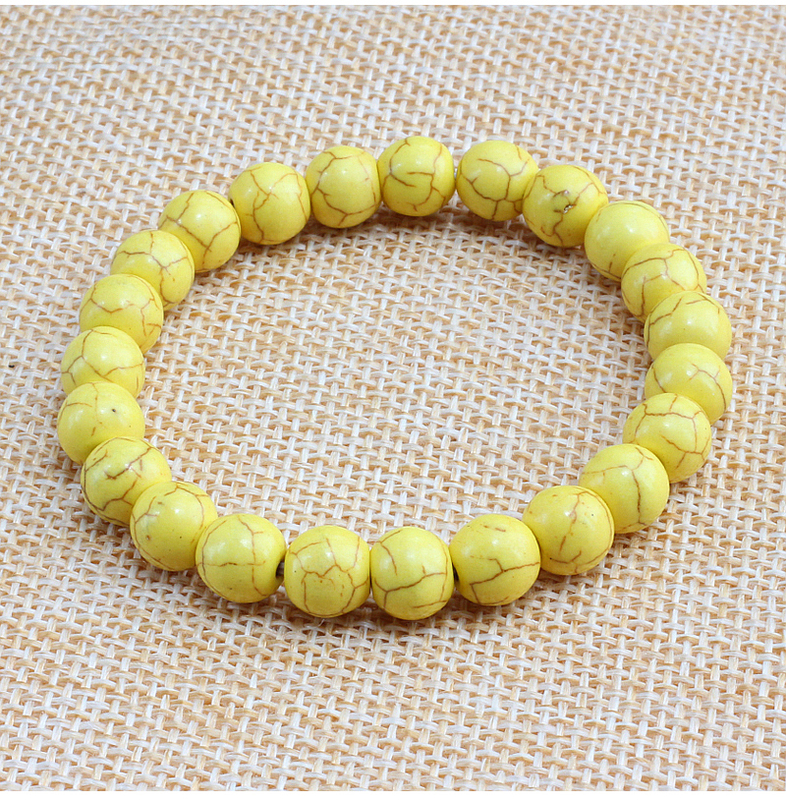 This elegant bracelet adds an element of sophistication to both day and evening looks. 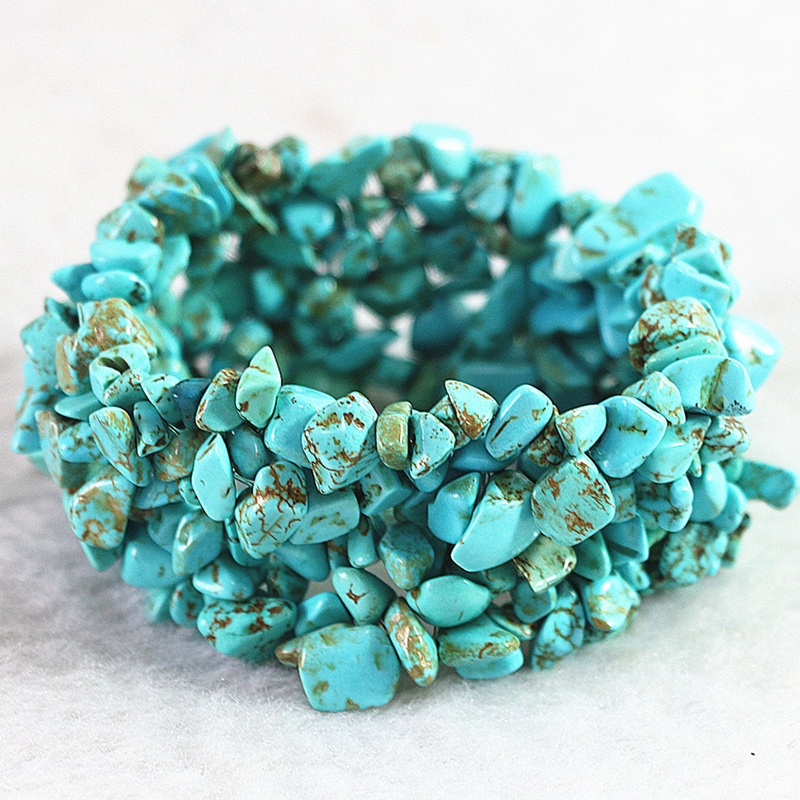 This handmade piece is unique, creative and constructed from quality materials. 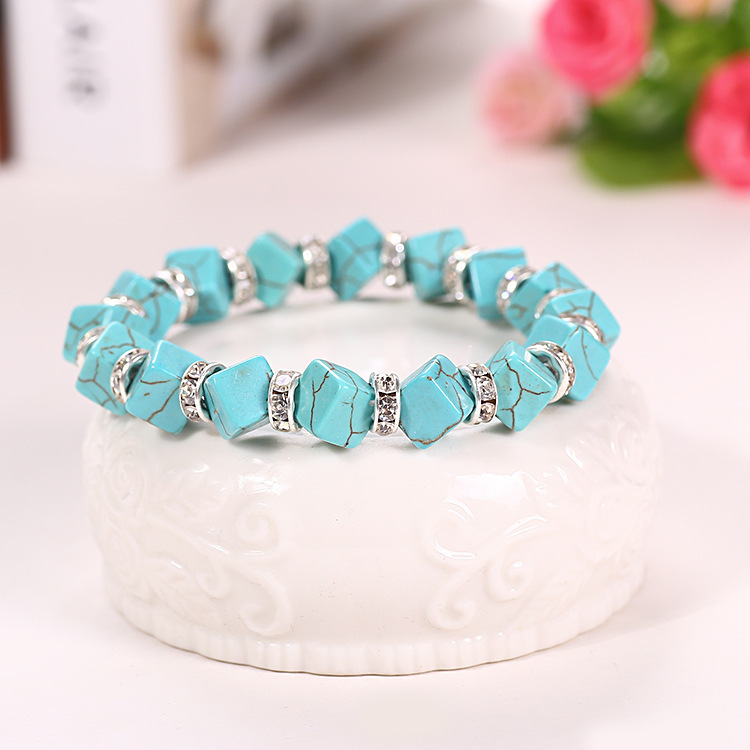 This delightful Turquoise Bohemian Bracelet is just the right choice to commemorate any women’s birthday. 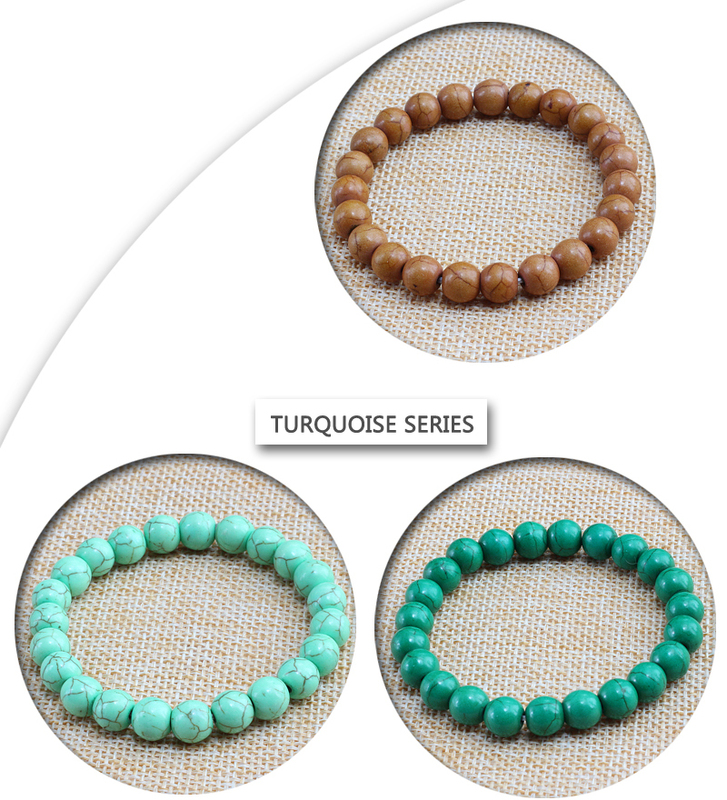 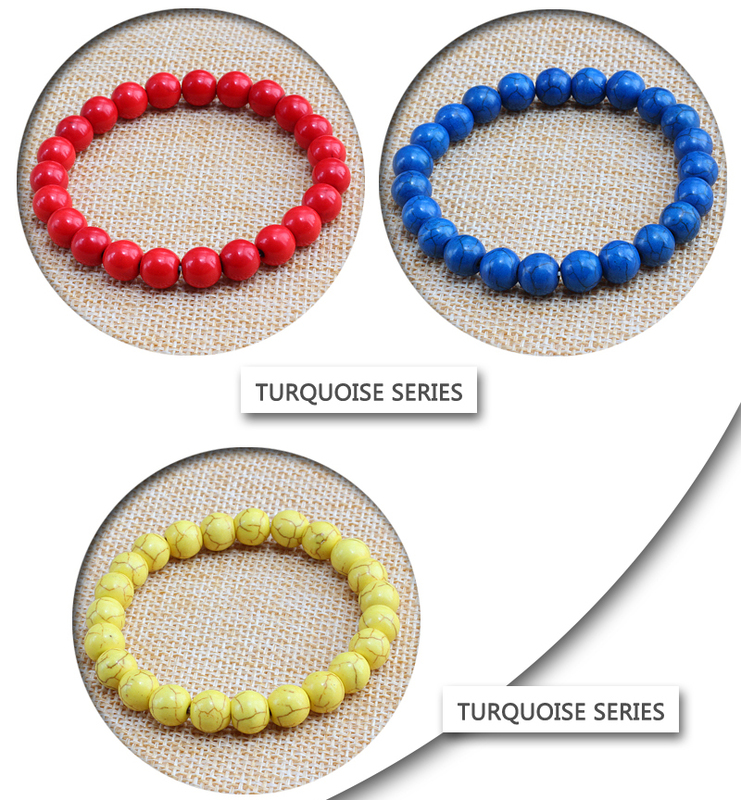 The solid turquoise beads can be paired with a wide range of outfits. 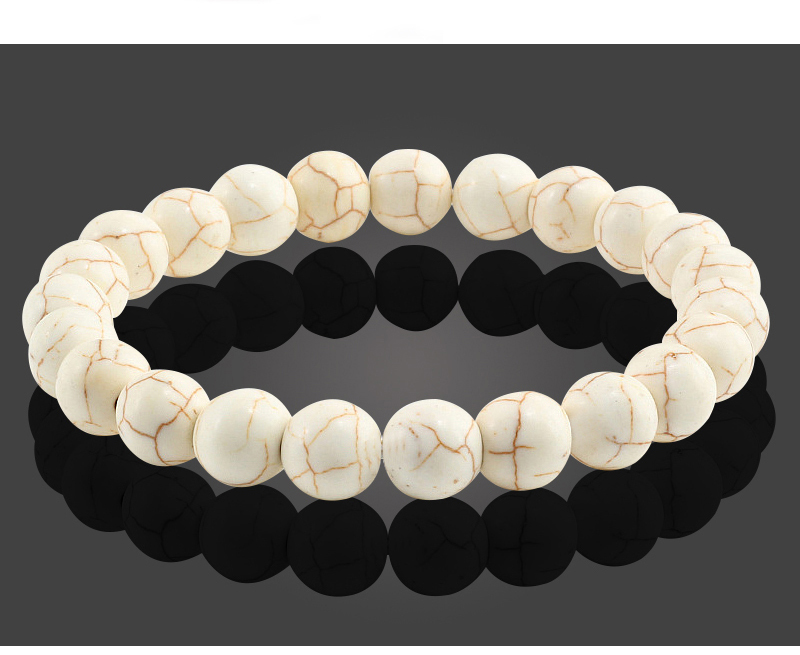 This elegant bracelet adds an element of sophistication to both day and evening looks. 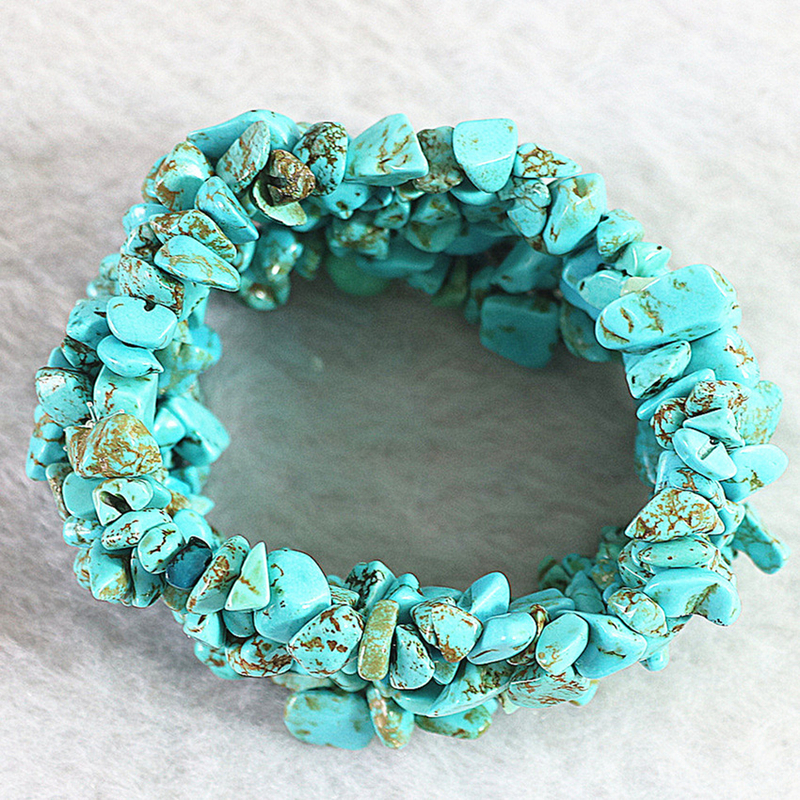 This handmade piece is unique, creative and constructed from quality materials. 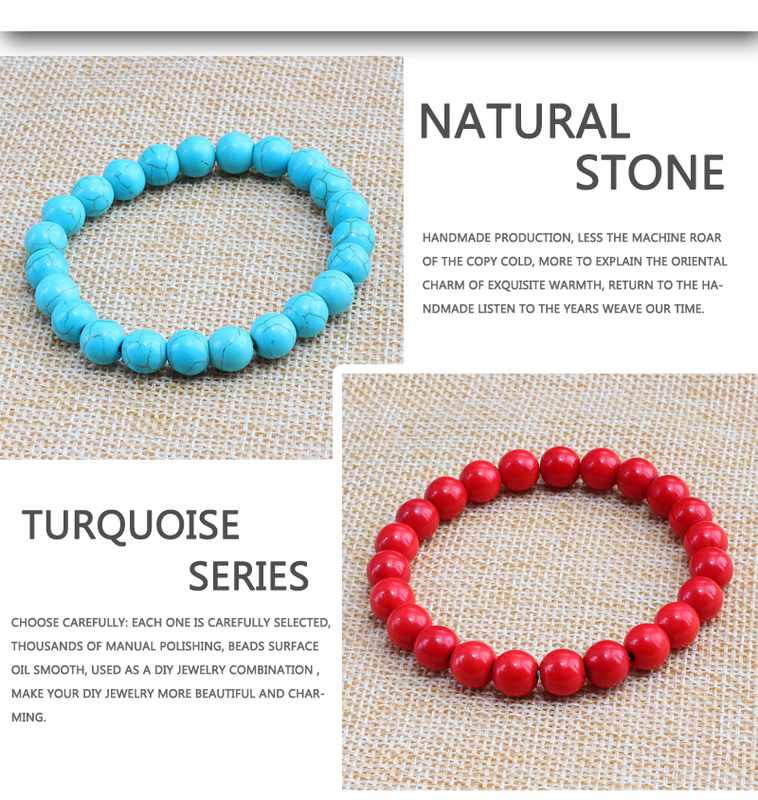 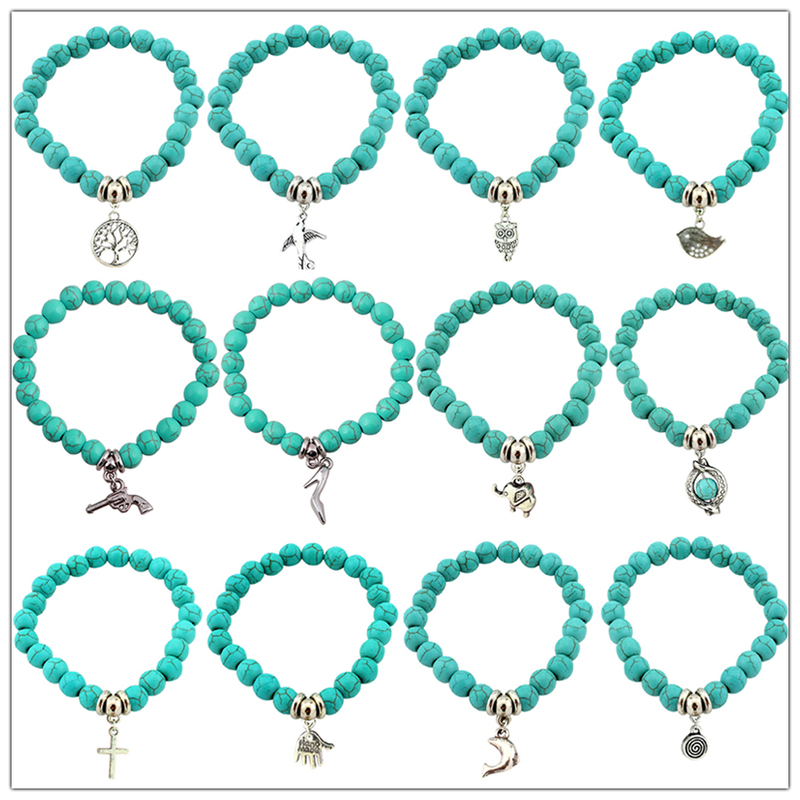 This delightful Turquoise Yoga Bracelet is just the right choice to commemorate any women’s birthday. 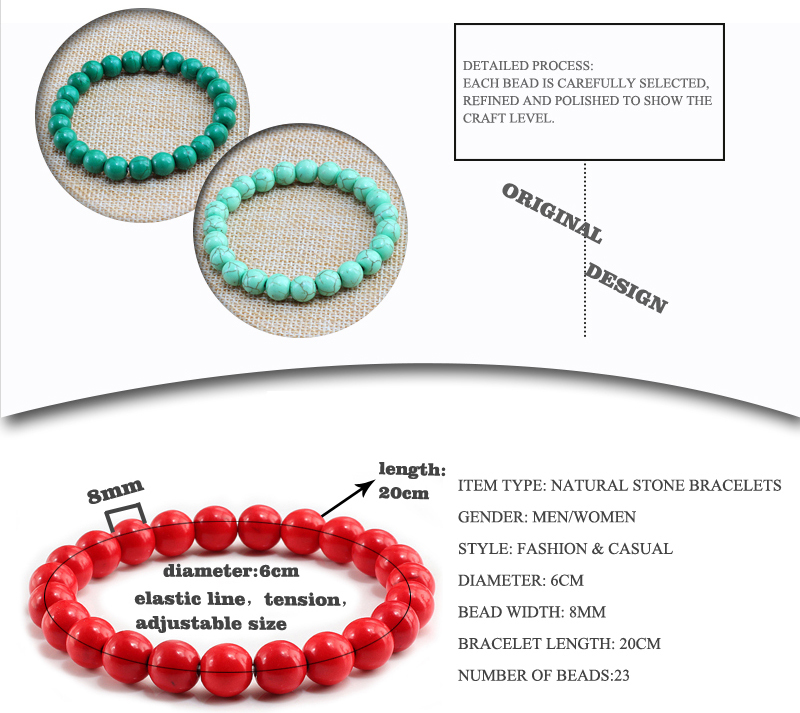 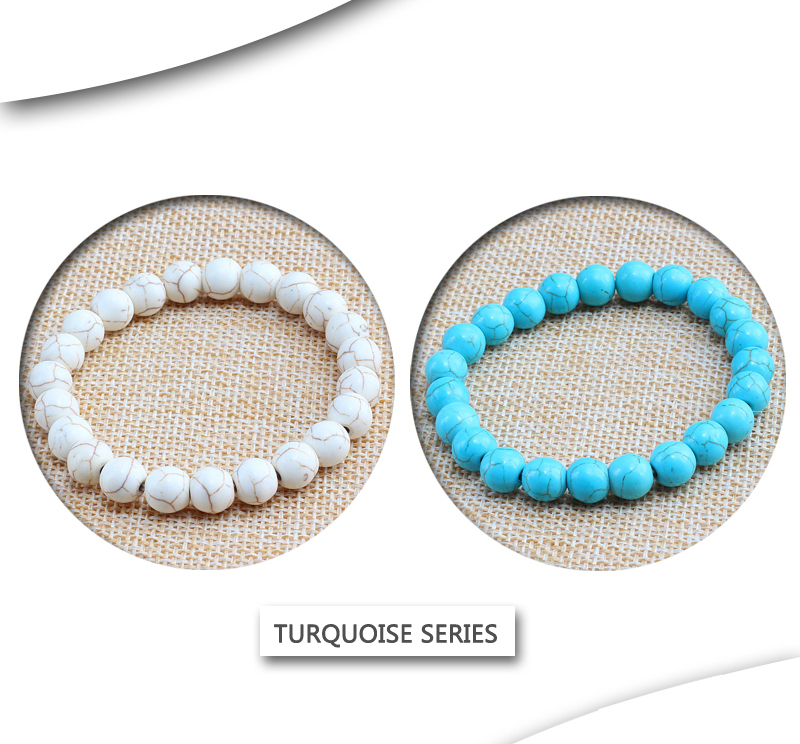 The solid turquoise beads can be paired with a wide range of outfits.